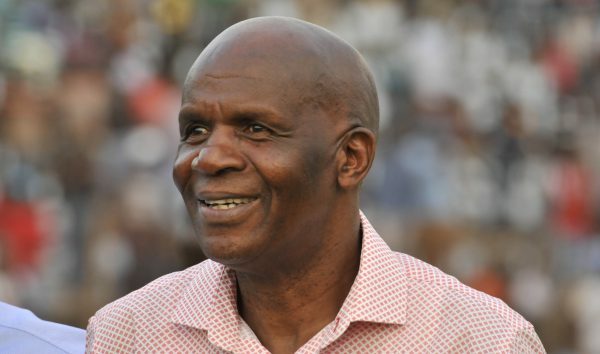 Black Leopards chairman David Thidiela is looking set for a long-term ban from the game as well as a heavy fine, following comments he made about referee Victor Hlungwani last year. Thidiela had already been suspended from the Premier Soccer League (PSL) executive committee after he was recorded making what were interpreted as derogatory tribal remarks about Hlungwani after a match against Bloemfontein Celtic at the Thohoyandou Stadium last September. According to reports on Tuesday, the Lidoda Duvha boss is set to be hit hard in the pocket by the PSL disciplinary committee – to the tune of R1 million, while also being sidelined from all football activities for a year. The PSL has not confirmed this yet, but are expected to release a statement soon. And it could get worse for Thidiela, who is facing another charge after he lashed out in December at Orlando Pirates boss Irvin Khoza, calling into question the integrity of his dual leadership roles within the PSL and the South African Football Association (Safa).